At Chilmark and Fonthill Bishop, we offer a wide sports and physical education provision. 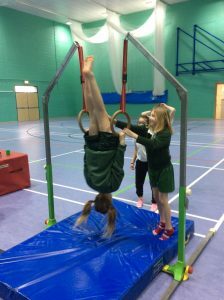 All students experience lessons in the school grounds or hall, making use of the gymnastic equipment and outdoor space. We also invest in additional specialist sports education, using sports coaches to deliver additional sport. In Elm and Sycamore class we all visit the local Nadder Sports centre, with its outstanding facilities. This allows us to take part in activities that our school hall cannot offer. We have the use of the swimming pool, indoor hall, playing fields and tennis courts. 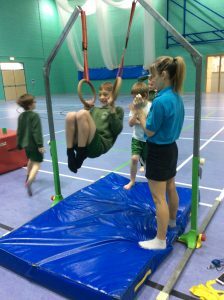 Sycamore and Elm go to Tisbury sports centre and do PE with Matt and Kyle. 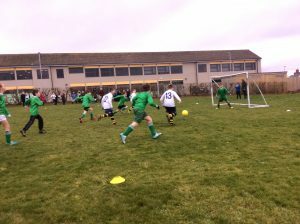 At the moment Elm are doing Football And are enjoying it. We are also play matches against ther schools. Sycamore class are doing tennis with Josh and are doing very well. They enjoy working with Josh because is a nice person to work with and he is very sporty. We go on the coach each week and are allowed to sit next to whoever we want as long as we don`t make that much noise!